Los Angeles and Hollywood. La-la land itself. A city of hopes and dreams, crushed ambitions and empty promises. Despite being firmly Noo York guys in the battle of the big American cities, even Lewis and I can’t help but be seduced by its shallow glamour. If we weren’t so dedicated to this podcast we would’ve long ago jumped on a greyhound bus and headed to LA to become stars (I’m guessing you can get a bus to LA from Victoria Coach Station?). Of course modern Hollywood has nothing on the Holly wood of old: that’s when you had REAL scandals. This week we take a trip back to that sleazy LA with Sunset Boulevard. 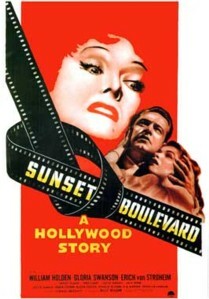 A recommendation of Lewis and listener Conor Barrett, Sunset Boulevard follows down-on-his-luck writer Joe Gillis, played by William Holden, as he writes a screenplay for forgotten silent-film star Norma Desmond, played by Gloria Swanson. Slowly Joe is drawn into Norma’s life, unable to escape her self-delusion and bitterness. The director Billy Wilder manages to create a Hollywood film that successfully confronts the dark side of Tinsel Town, showing what fame can do to you and, even worse, what happens when that fame fades. Swanson, a star of silent films herself back in the 10s and 20s, gives the performance of a lifetime as Norma. In many ways it’s an over the top performance, but it’s always believable. Our Secret Sponsor for this week is Forgotten Films: you can find them on Twitter (@forgottenfilmz) or check out their site at www.forgottenfilmcast.wordpress.com. Wow! I am thrilled that you featured Forgotten Films as your secret sponsor! You are very generous and the podcast is awesome! Thanks so much! Really pleased you liked this movie. Double Indemnity is Wilder’s masterpiece – you should definitely check it out. I need to revisit this film. I’ll be sure to watch it again soon and good job on the podcast! I am a big fan of Forgotten Films! I have Double Indemnity by Wilder and will watch that again too. Thanks Victor, glad you enjoyed the podcast! 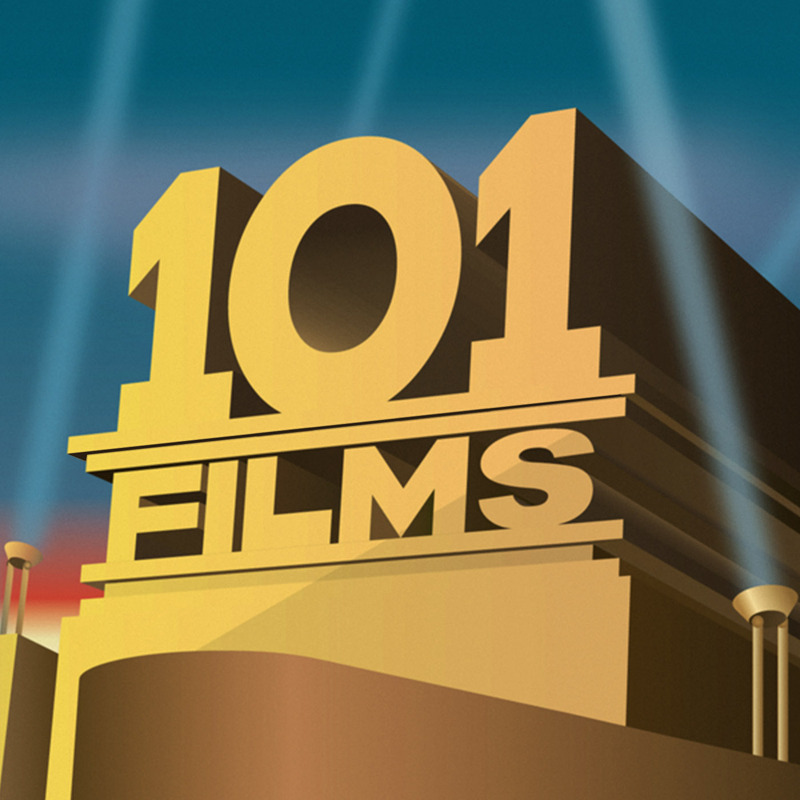 If you have any recommendations for films for us to do then let us know. They don’t have to be obscure, you’d be amazed at the big or important films that seem to have passed us by! Will do! Looking forward to what’s to come. I’m going to give your podcast covering The Day The Earth Stood Still a listen today! Oops I read it wrong lol. I will still give it a listen but after I get to your podcast of Dracula from Hammer. Can’t wait! Glad your listening to some of the early ones. Those first few though… Let’s just say we definitely get better!